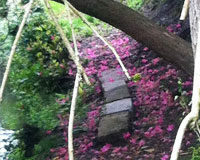 Hypnotherapy and counselling for depression, unhappiness and bereavement. People who are ‘good’ at anxiety, stress and panic tend to be equally good at relaxing. Acknowledging you have a problem means you have already made significant progress. The present is where you can live effectively and happily. 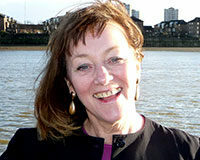 Suzanne Thomas is a London hypnotherapist and counsellor who uses hypnosis, relaxation, self-hypnosis, mindfulness, NLP or Neuro-Linguistic Programming, imagery and visualisation within a counselling, psychotherapy framework to help with bereavement, grief, unhappiness, depression, anxiety, stress, confidence, relationship difficulties, self-esteem, bereavement, IBS, eating disorders and much more. She is a fully registered hypnotherapist practising hypnotherapy in London. Your therapy in LondonHypnotherapy and Counselling in Chelsea, London and Harley Street. I am so glad you have found your way here. As someone who is probably here to sort things out, you are in the right place. Do you want to feel proud of yourself? Do you want to feel confident? Do you want to know that regardless of whatever has happened in your past you can be strong powerful compassionate and wise? Do you want to access the wisdom of your unconscious mind? If any of this would help you in your current personal life situation call or email and talk to me. Make a move toward a life of richness and fulfilment. I am featured in Tatler’s ‘250 Best Private Doctors’ guide and have featured extensively in media. I wrote an agony page plus articles on emotional issues in various publications. I am really pleased you have come to my website but I will be even more pleased when you take a step towards actively changing your life. Call me now and start the process of releasing yourself from pain and moving towards realizing the richer potential of your life. One of the greatest pleasures in my life is seeing my clients leave me proud, happy and powerful, having discovered the treasure hidden in their unconscious minds. I’m fully registered and accredited with the National Council for Hypnotherapy and also have Senior accreditation with the General Hypnotherapy Register. These are the premier hypnotherapy registers in the UK. If you’re too far away to come to see me, you could look at their websites to find someone fully registered near you.